One of my friends went out of town recently for a vacation on the lake. Unfortunately, it was cut short by a dead battery. Can you imagine? Driving out to the lake, all the while towing a jet ski, only to push it into the water, let it float out, and have it not start? He ended up being stranded on a useless jet ski for quite a while before another boat passed by and towed him to shore. And to think, all of that could have been avoided had he stopped by Battery Joe to get everything checked out and charged. Don’t let a weekend go to waste, let us help. Anyway, his story got me thinking about other times a lack of batteries has resulted in undue stress. That took me back two years to Christmas, a time when everyone is supposed to be in a good mood and is enjoying opening presents together. My family has a different tradition; we bet on who’s going to cry first. These days, there are fifteen children in the house when everyone gets together, so it’s pretty much a tossup as to who it’ll be and what will set them off. This year was especially traumatic. One of the kids had been waiting patiently for his turn to get a present. He sat quietly as others opened presents all around him. When it was finally his turn, he got so excited and immediately shredded the wrapping paper to reveal exactly what he’d asked for, a Nerf N-Strike Vulcan EBF-25 Dart Blaster (sounds scary right?!). His brother had been shooting him with a puny, manual Nerf gun all morning, so it was finally time to exact his revenge. He spent the next four or five minutes setting it all up, taking care to put every dart in its proper place and align the stand just right so that the darts would fly directly to their unsuspecting target. His plan was perfect, or so he thought. His eyes narrowed and his little finger pulled the bright orange trigger… He waited… Nothing happened. Panic took over. How could his gun not work? This highly sophisticated machine he’d been waiting for had let him down in his time of need. It was too much. Tears began to flow and he was lost in grief. At first, no one could understand what the problem was. It looked perfect and he surely set it up correctly. Then, someone found the problem. The batteries weren’t included! This is something we never seem to think about until it catches us by surprise, inevitably throwing a massive wrench into any situation, but think of how many times grief could have been spared had a working battery been present! These are just a few “Batteries Not Included” situations I have personally experienced. Pulling the batteries out of the remote control to power your first Gameboy color… pulling the batteries out of your boom box to replace the batteries from the remote… Etc. 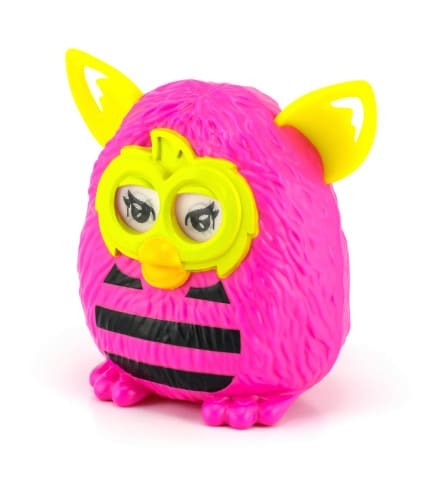 Yanking the batteries out of your Furby (90s kids) because you can’t replace them to make it stop sounding like a fuzzy demon baby! Fumbling around at your campsite late at night because you didn’t pack extra batteries for your flashlight. Becoming stranded in the cold as the result of an old car battery that has given its last. Missing the prefect shot of sunrise on a mountain lake because your DSLR camera battery has died and you didn’t pack a backup. Trading stories like this makes us appreciate our line of work just a little bit more, knowing that we can be the answer to almost any of these problems. It also got us thinking; what if you had to live life without the use of anything battery powered?! not be without. Everything on this list is important, but we’ve underlined a few things that we at Battery Joe can help you with specifically! ◻ A PORTABLE PHONE CHARGER for your phone – These little lifesavers come in handy no matter what time of year it is, but especially on Spring Break. Long days spent out on the beach or hanging out with friends doesn’t leave a lot of spare time to charge your battery, nor is it something you should have to worry about. Pack a portable charger this spring break and give your phone a boost no matter where you are! ◻ SUNSCREEN – Everyone loves coming back from spring break looking like a bronzed sun god or goddess, but without applying a little sunscreen before hitting the beach you could end up looking like a flaky-skinned lobster by the end of the week. ◻ WATER – You will want it, trust us. It’s like the battery your body runs on. When you get to your destination, the last thing you are going to want to do is go to the grocery store. Pick up a few things like water and maybe some snacks before you go, and then you can focus on more important things when you finally arrive. ◻ CHEAP SUNGLASSES – Losing your Ray Bans or other pricey shades while out on the beach is one way to put a damper on your week, so throw pair of cheap ones in your bag instead! ◻ FRESH BATTERIES and battery tenders for your power sport vehicles – Those jet skis have been in the garage all winter long. Now, it is finally time to dust them off! If your spring break involves water sport vehicles, make sure to check the health of their existing batteries before taking them back out on the water. ◻ An extra pair of beach SANDALS– If you have ever spring break’d at any of popular destinations like South Padre Island, Panama City or Cancun, you know how littered and disgusting the sand gets after just a day or two. Losing a flip-flop on day 2 and having to buy a $25 pair at the souvenir shop next to the hotel will not put you in the best mood, so come prepared! 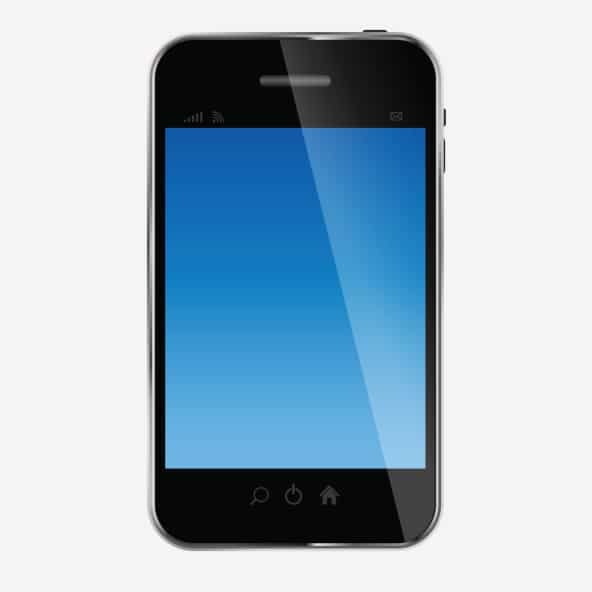 ◻ PHONE PROTECTION – Protect your phone from breaking while you are spring breaking (see our last blog post) by using a screen protector and a case to help prevent any cracked screens! At Battery Joe, we carry many things that can help make your spring break more enjoyable. And what’s more, Tech Students take 15 percent off with their student IDs. Stop by our location at 19th and Quaker just down the road from Texas Tech and see how we can make your break even more relaxing. There’s a reason phone repair is such a big part of our business. According to ‘Plaxo’, about 33 percent of people either lose or break their phones. It’s an unfortunate fact of life, but that’s why we’re here. 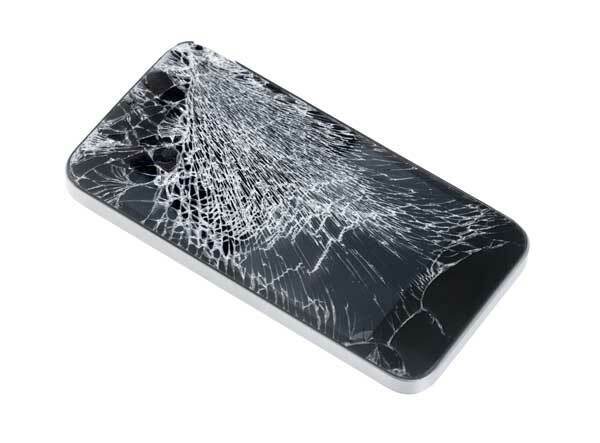 In addition to providing a wide array of iPhone and smart phone repair services along with all of the accessories you need to keep your phone safe, we wanted to provide you with some helpful information on phone loss and destruction, and more importantly, how you can prevent loss and destruction from happening in the first place! When looking at statistics for phones that meet an untimely end, the top two culprits are no surprise. Whether it slipped out of your hand accidentally while texting or you threw it across a soccer field because a cute girl said she wondered how far you could throw it (a true story courtesy of my little brother), somewhere around a third of all phone damage comes from dropping them. In second place, claiming the lives of nearly 20% of phones is water damage. While these stats may not surprise you, we found some other fascinating ways people have found to break their phones. Sports fans in particular should listen up. In a report compiled by ‘Third Square’, it was found that, of 23 million Americans who managed to break their phones at a sporting event, 12% threw their phone while in a fit of passion, and 13% drowned their phone in their beer. Another interesting fact that comes from research done by ‘Protect Your Bubble’ insurance provider is that men are 70% more likely to break their phones than women, and 56% more likely to drop them in the toilet. Women however, are 46% more likely to have their phones stolen, which seems like a good transition to the next section. Even if we manage to keep our phones from meeting some kind of unfortunate end, we aren’t much better at keeping track of them. Everyday in the U.S., $7 million worth of smartphones are either lost or stolen! Unsurprisingly, this number jumps significantly during holidays with $11 million in phones lost during Christmas and $14 million lost during the New Year! While those numbers are pretty amazing, the places we tend to lose our phones are pretty boring. Pizza places, gas stations, churches and apartment buildings are among the top contenders. Where you live also seems to play a part in whether or not you will lose your phone. If you are ever in Philadelphia, Seattle, or Oakland, you might as well just tape your phone to your hand. Americans aren’t the worst though! Apparently, people in Manchester, England are the worst in the world about losing their phones! Well, no matter where you’re from, or whether you’re forgetful or destructive, here you will find some helpful tips on how to keep your electronic communication companion safe! Be Smart about where you put it and where you take it! Probably the easiest way to ensure your phone remains intact is to keep it out of your back pocket. Common sense will tell you that your phone is more likely to break if you are constantly sitting on it. Next, though it seems like a good bit of free time to catch up on news, update your Facebook status or play the next level of your favorite game, it may be a good idea to leave your phone in your pocket when using the bathroom. One study estimated that 19% of people have dropped their phone in the toilet at some point. It’s also a well-known fact that at birth, children make a checklist of every valuable thing you own and systematically destroy each one in the way that is most inconvenient to you. Because of this, another good tip is to obey the “keep out of reach of children” warning. In this case, it may not be able to do much to hurt them, but they can definitely hurt it. In terms of keeping your phone from being stolen, there are really three simple things that you can do that can make all the difference. First, don’t leave your phone lying around and know where it is at all times. Second, password protect your phone. This does more than keep your friends from hacking your Facebook. Lastly, activate or download a GPS tracking application. I have personally made good use of this in the past, as I was able to locate my lost phone down to a few feet of where it had fallen out of my pocket in a park. Invest in a Good Case! Invest in a case that actually protects your phone and that fits with the way you use your phone on a daily basis. There’s no point in buying a waterproof case just to take it off five times a day to listen to music because it obstructs the headphone jack (once again, a true story courtesy of my little brother). If you are outdoorsy, make sure your case is up to the task, but don’t go overboard if you don’t plan on dropping it in a running river while white water rafting any time soon. For many, a simple one-piece molded case may get the job done. At the very least, your case should provide some level of impact protection and have some manner of raised edge on the front to protect the screen from hitting directly on the floor when dropped on its face. It is also worth it to invest in a case that will last. Online reviews will tell you that even some of the more expensive protective cases have trouble standing the test of time while some surprisingly simple and inexpensive cases can last as long as you have your phone. Ultimately, before you buy a case, just put your phone inside it and feel for yourself whether it will be a good fit. Invest in a Screen Protector! This relates specifically to smart phones which are made vulnerable by their large, exposed touch screens. The debate as to whether you should use plastic or glass is ongoing, but here are some quick pros and cons for both! While you can buy versions of both for around two dollars, glass screen protectors will be slightly more expensive as a rule. If you want top quality, you will pay about $10 for plastic and about $35 for glass. In terms of sturdiness, tempered glass will almost always beat out plastic. Plastic covers scratch easily and tend not to last as long. Plastic cases, however, are much thinner than glass. Glass protectors will create a bulge that can be particularly noticeable on the thinner smartphone models. Finally, if you don’t want installing a screen protector to be as nerve wracking as putting the last card on top of a card house, a glass protector’s rigid structure takes a little pain out of the process. Now go forth with confidence! And remember, Battery Joe has everything you need to keep your phone safe and functioning through whatever life brings. We repair phones as well as sell used phones. Batteries, Batteries, Batteries. What is the first thing that pops into your head when you hear the word battery? For most people, it’s the vision of two small yet powerful cylinders that say “Energizer” or “Duracell” and go in the back of the television remote. However, nowadays, batteries have come to power so many things – cars, ATV’s, computers, phones – and just because we can’t see them or hold them in our hands doesn’t mean that they aren’t there. So why all the talk about batteries? Our experts at Battery Joe have seen time and time again the problems associated with phone batteries, and we are here to tell you not to worry any longer! Sure, you could bring your phone in and we can fix most phone batteries immediately and iPhone batteries in as little as an hour… but we want more for you – and your phone. Here are a few phone tips that will help you understand where your battery life is going, when it’s time for a new battery, and the battery “tales” you might still be believing. What is the average battery life of a phone? Many factors can affect the longevity of your phone batteries life. What you probably didn’t know is that recharging your phone battery is actually what makes it less potent over time. According to Apple, after about four hundred charging cycles, an iPhone will retain approximately eighty percent of its battery life, which decreases each additional time your phone is charged. To slow down this process, Apple recommends letting your phone charge fully every time and allowing it to expend all of its battery power at least once per month. How does age affect battery? Most cell phone batteries are good for about 700 charging cycles. That seems like a lot, but if you charge every day that is only about a year and a half. If you have an older phone or feel your battery is weak, Battery Joe does free testing. What apps use the most battery life? If you have a smart phone, the biggest battery killer besides talking and texting is applications. Even if you don’t download apps, you aren’t necessarily in the clear. Apps that come preloaded on your phone , such as weather, GPS, and even your camera, might be what is draining the life from your precious device. As far as downloadable apps, social media sites, such as Facebook and Twitter use the most battery as they are constantly refreshing even if they are sitting in the background. Another battery killer is free games. Free games usually constitute lots of graphics and advertisements, which use an immense amount of your iPhone battery. When you go to download an app from the app store, read the description to know what you are getting into! No matter what apps you have on your phone, the easiest way to conserve battery is to close out of each app after you use it. Even if you click out of an app, that doesn’t mean you have closed it. Close an app by double clicking the iPhone’s home button and swiping each app off screen. If you have an Android, the process is simplified even further by allowing you to close all apps at once with a single button. Other helpful tricks for saving battery life include lowering your screen brightness, turning off Bluetooth, Wi-Fi, and Location Services, and turning your phone on airplane mode. You can also purchase Battery Analytic apps on the iTunes App Store to track your battery usage, but beware – sometimes these apps use more battery than you are saving! A helpful feature that apple has added to IOS 8 and doesn’t require you download an app is the ability go into your phone settings and see exactly how much battery each app in your phone is using. Leaving my iPhone plugged in overnight doesn’t “overcharge it”. • TRUE. Our phones are smart – that’s why they are called “smartphones.” Believe it or not, your phone knows when its battery is full, and charging it for longer than it needs won’t hurt it. Only my phone provider can replace my phone battery. • FALSE. At Battery Joe we have the products and know how to replace batteries and perform a host of different repairs on almost any phone. My phone’s battery life depends on how new the model is. • FALSE. In a study between iPhone 4 and iPhone 4S, the iPhone 4 showed to actually have a longer battery standby time, as well as a longer lasting battery when browsing on Wi-Fi. Extreme temperatures will most definitely kill your battery. • TRUE. This is absolutely correct. Nothing can hurt your battery as much as heat. Since batteries produce heat, high techs and “hot” don’t mix well. Cold weather also has a negative effect on your iPhone’s battery life and usually makes the battery die faster. If my app isn’t open, it isn’t using my battery life. • FALSE. Like we said above, if you have opened an app since your phone has been on, it is more than likely still running in the background. To check, double tap the home button on your iPhone. Every open app will appear. Swipe up to truly “close” the app.